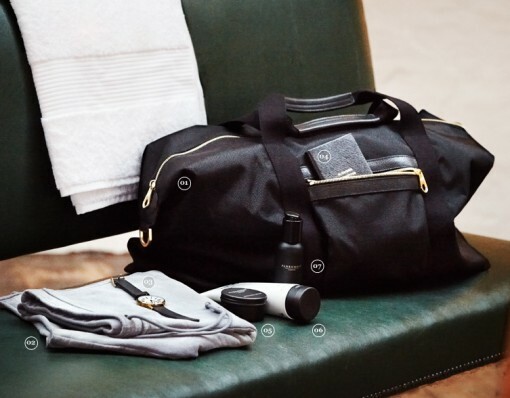 These travel accessories and products are essential for any frequent traveler, but just because you aren’t a frequent traveler doesn’t mean you should deny yourself some basic pleasures. Let be on a plane, train or bus, stay comfortable and prepared, don’t let a small thing like not having a set of speakers or being cold on the plane start your trip on a bad note or stop you from having the best time off your life! After all you work 8+ hrs a day 5 days a week 52 days a week, so when you take a few off, kick your feet up and enjoy it. You will fall in love with the Hoodie Pillow by Hoodie Pillow Brand, not only does it keep you warm and snugly on the plane, it also helps block that noisy neighbour who can’t help but make friends with the person next to them and further blocks out the light from the overhead lamps. 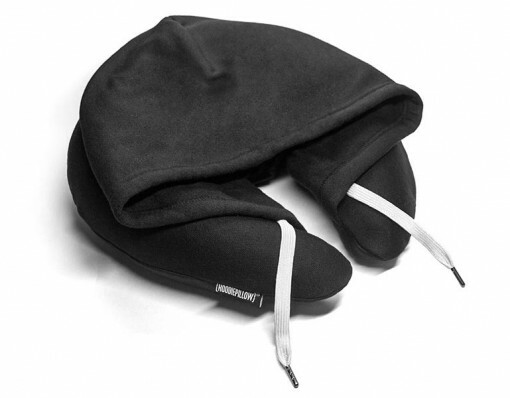 As a plus you can deflate the Hoddie Pillow and easily stick in your purse or bag while getting through the airport. 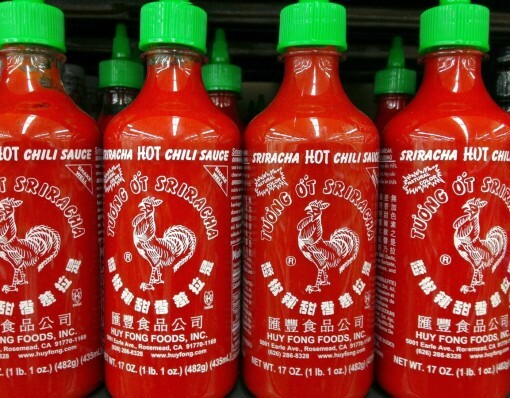 It will help you sleep and make you feel more relaxed on the plane. It is made out of soft, quality sweatshirt material so it will definitely feel good agains your neck and face. Sometimes that $20 is worth every penny, and for $20 the Hoodie Pillow by Hoodie Pillow Brand is one of those times. 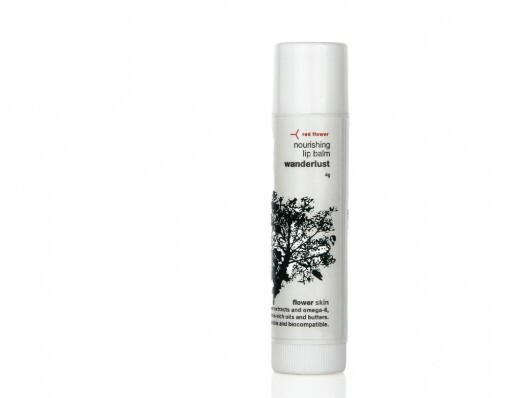 A perfect gift under $20 for your non stop travelling mates! The WineSkin Wine Transport Bag is a fantastic accessory for any traveler. One of the most exciting things about flying some where is Duty Free, besides the high end stores, we know this means CHEAP BOOZE! 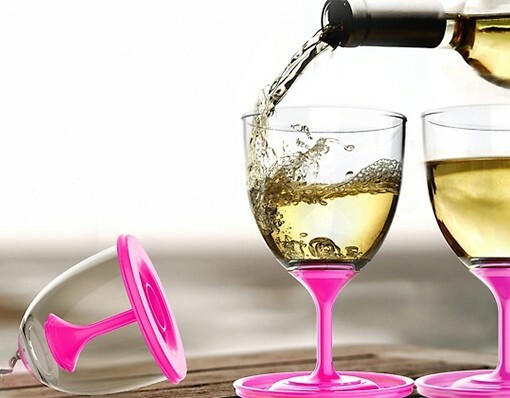 Anyone that likes a deal wants to load up on alcohol but a common issue is how to transport the alcohol, no one wants to risk a nice red wine puddle in their clothes. 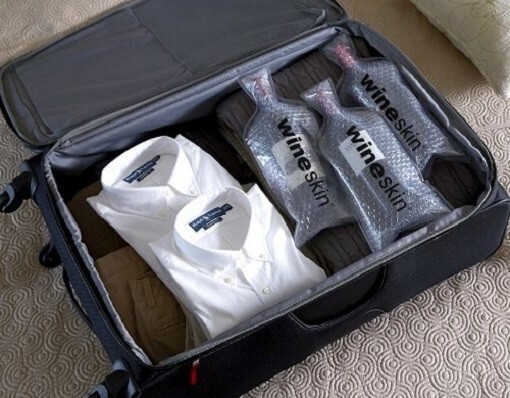 Don’t let that bottle of wine in your suite case cause you anxiety anymore, just get a few of these wine transport bags. They come in sets of 2 for $11 or 4 for $14, under $20 and it makes a great gift for fellow winos or liquor hounds. Don’t let the name fool you though, these transport bags can be used for other alcohols and even sauces. 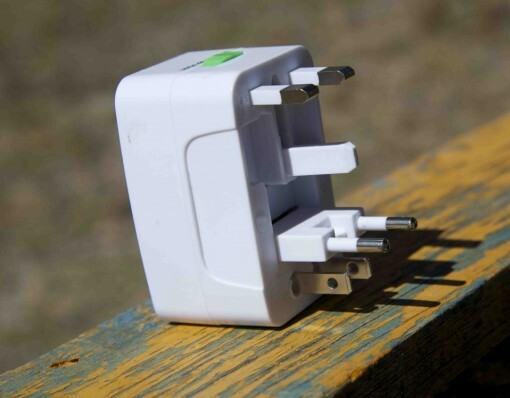 This Universal Travel Adapter is a bare necessity when traveling abroad. Many countries like England and the rest of Europe use a different voltage than the good Ole USA. The eForCity Universal World Wide Travel Charger Adapter Plug is a multifunctional travel adapter that will work in every country! 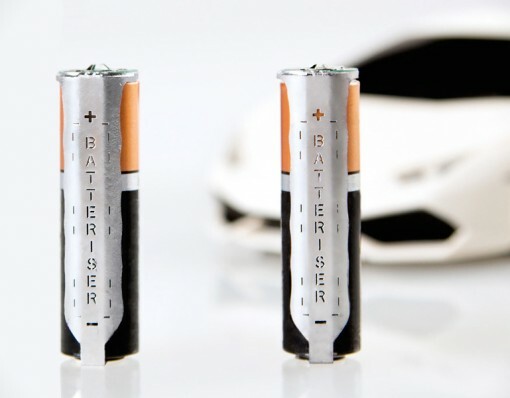 Its a one size fits al type product that does exactly what is meant too and thats keep your devices charged. If you don’t want to be left high and dry without your phone, camera or ipad then make sure you pick up this must have travel accessory. For just $3 can you afford not to buy this travel adapter? Buy more than one and give your friend a practical gift they will love, all for under $20. 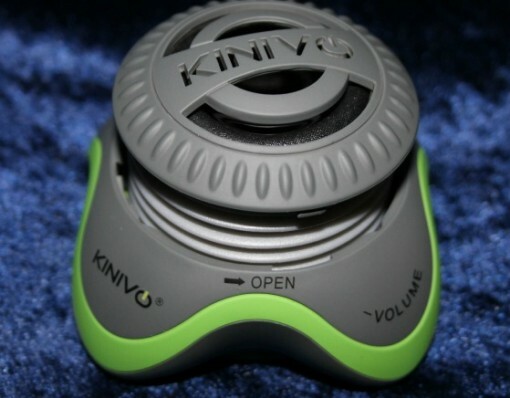 This Kinivo ZX100 Mini Portable Speaker is the perfect travel sized speaker. 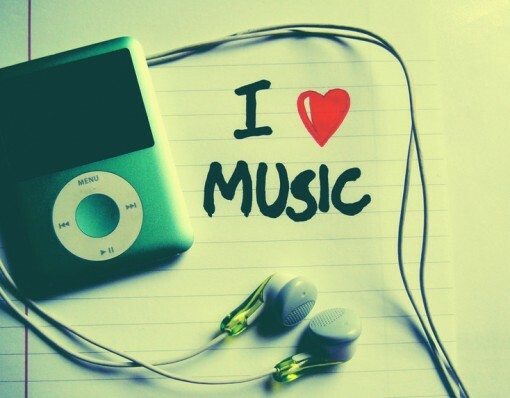 No matter where you are sometimes you just need to pump the tunes! Don’t be left in a bind without a speaker system. The Kinivo ZX100 Mini Portable Speaker looks small but packs a hell of a punch, join a few of these together to create surround sound and for $19 you can’t beat the clear, crisp sound that it puts out. Give the gift of sound no matter you go all for under $20. We have all had our bags broken into at one point or another, it makes us nervous and paranoid. 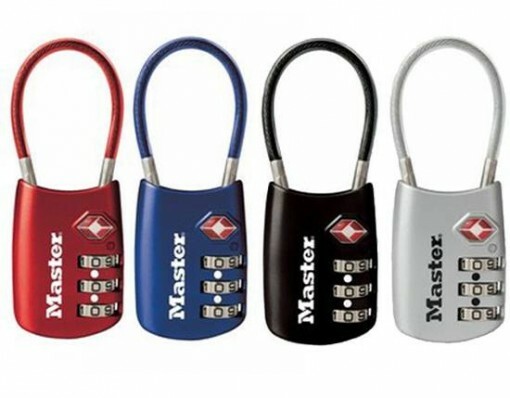 Now you can buy or give the gift peace of mind with The Master Lock Travel Lock for under $20, more accurately $9 secure your baggage with the number one travel lock by Master Lock. Never fumble with keys again as this lock has a 3 number combination perfect for us last minute packers who can’t even remember to pack shoes. This lock is TSA Approved so don’t worry about investing in this lock just to not see it when you baggage comes of the belt because the TSA have cut it off. 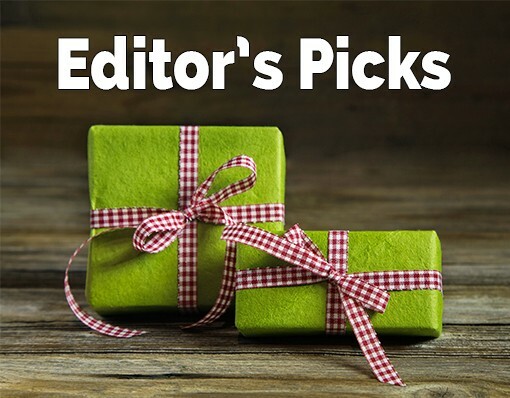 A great and essential gift under $20 for any traveler.